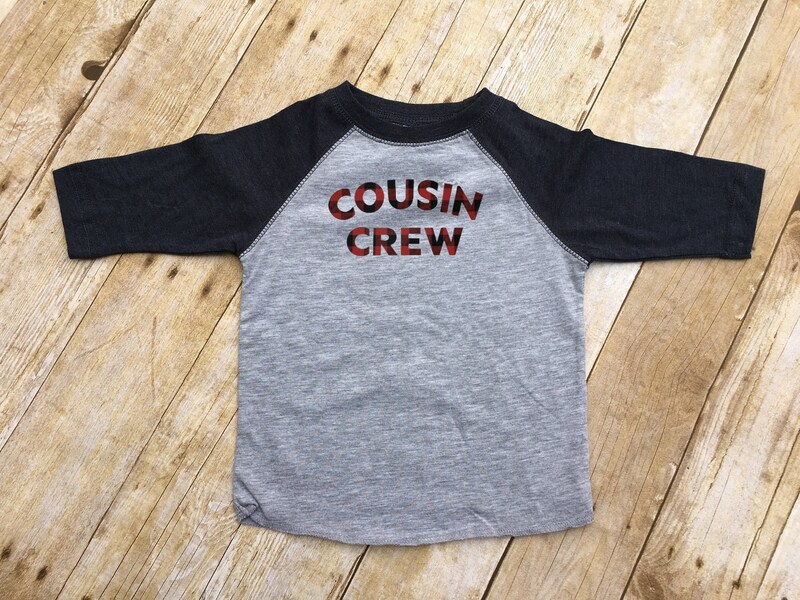 Buffalo Plaid Cousin Crew shirts. 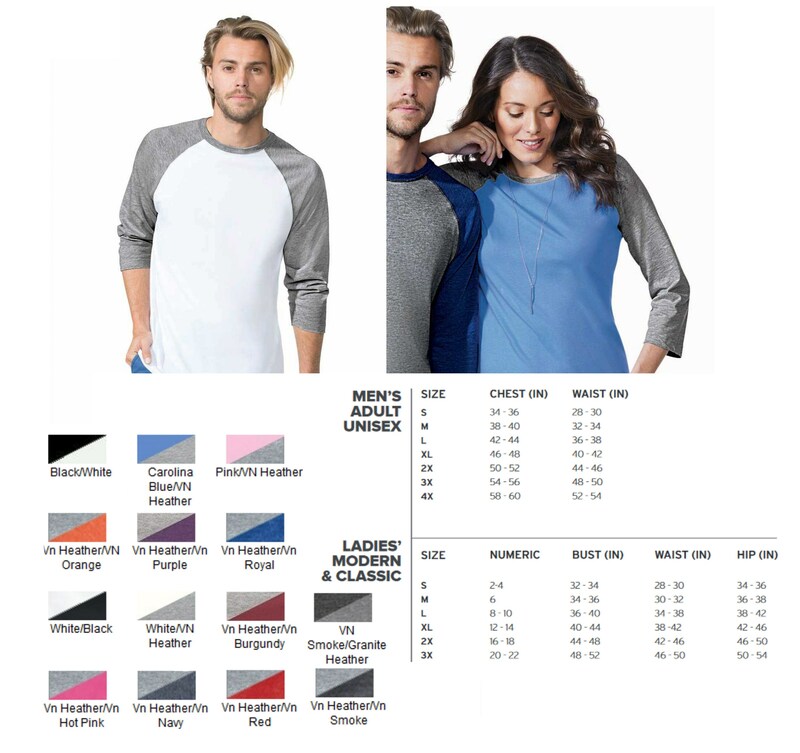 All Sizes NB- 3XL 3/4 sleeve raglan shirt. 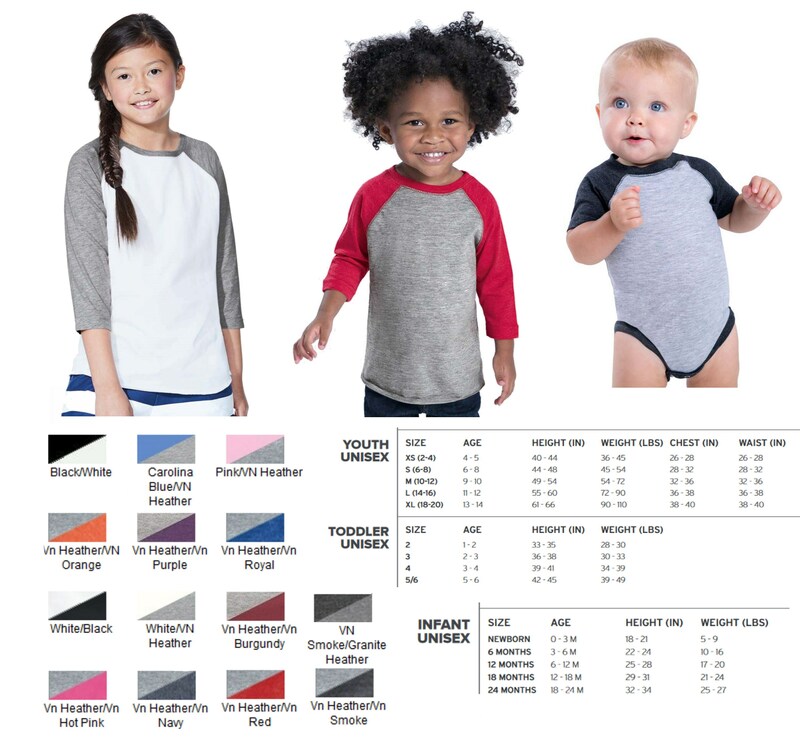 Name and or Number on back is extra link in item description! 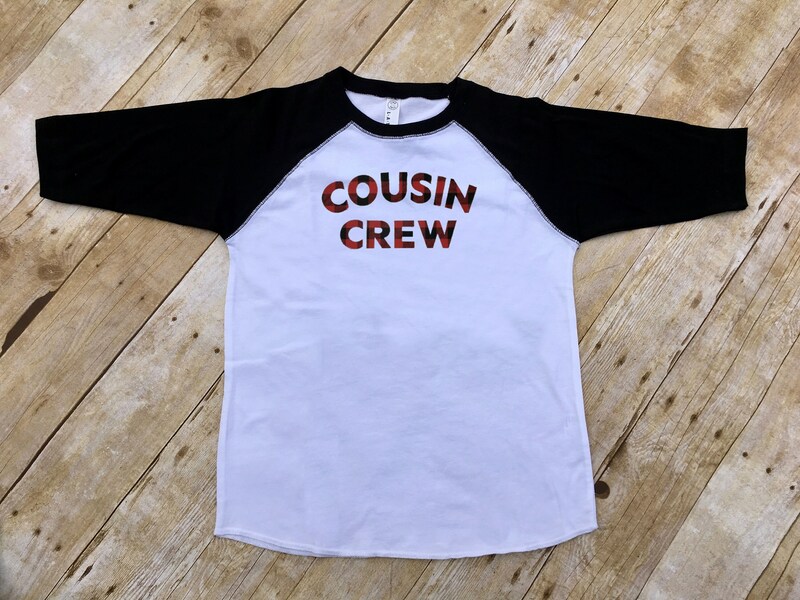 If you want Cousin Squad or Cousin Tribe, please specify in the notes to seller at checkout, if you do not I will send Cousin Crew.